For most of us, Christmas is the peak party season of the year. There is simply so much socialising to fit into December. All those drinks, lunches and dinners – not to mention the traditional office party – add up to a lot of festive fun. And that’s before the big day itself arrives! However, all that revelry can wreak havoc with your appearance, just when you want to be looking your very best. That’s why we’ve put together this invaluable guide to grooming with our top Christmas beauty tips. Follow our advice to look (and feel) gorgeous and glamorous the whole month long. Before you let loose with the glitter and false lashes, brush up on your basics. Proper cleansing, gentle exfoliation and thorough moisturisation will help keep your skin glowing. Late nights, rich food and lack of sleep are not conducive to complexion perfection. So, one of our first Christmas beauty tips is don’t skimp on your usual routine. During the party season most of us wear more make-up than usual. Make sure you’re scrupulous about removing it all, if you want to avoid a face full of spots. A double cleanse, with a rich balm or cream, is the fast-track to healthy, glowing skin. A gentle acid toner will brighten and condition your skin after cleansing. Another of our Christmas beauty tips is to finish with a nourishing oil, to ward off the effects of winter weather (and all those dehydrating glasses of champagne). They say the eyes are the mirror of the soul. Unfortunately, at this time of the year they can also reveal how little sleep you’re getting. Dry, bloodshot eyes are a common side-effect of hard partying. Dark circles and puffiness are another obvious give-away. Chilled eye cream feels fantastic after a long, late night – it’s another of our Christmas beauty tips we just know works. Apply yours straight from the fridge for an instant pick-me-up. Where eye cream is concerned, less is more. 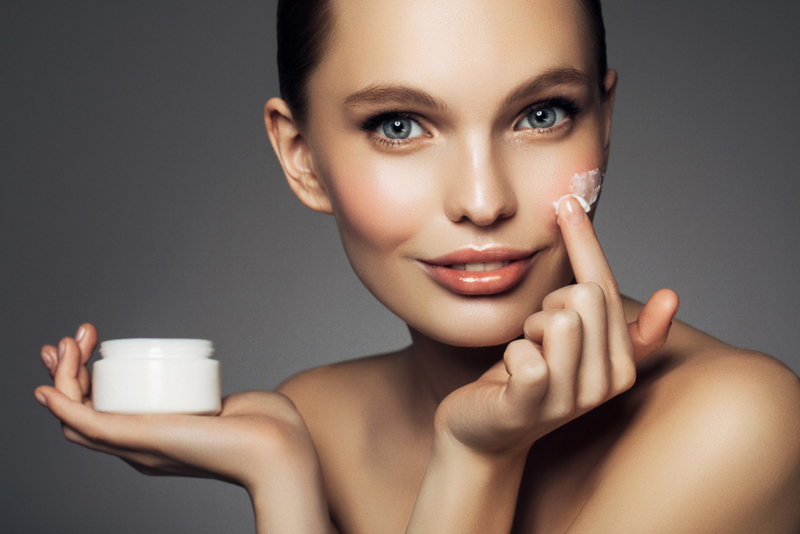 Don’t use a rich cream at night if you’re prone to puffiness. Try a light serum instead, and make sure you’re applying it correctly. Sparingly stroke the product along the eye socket – not directly onto your eyelids. 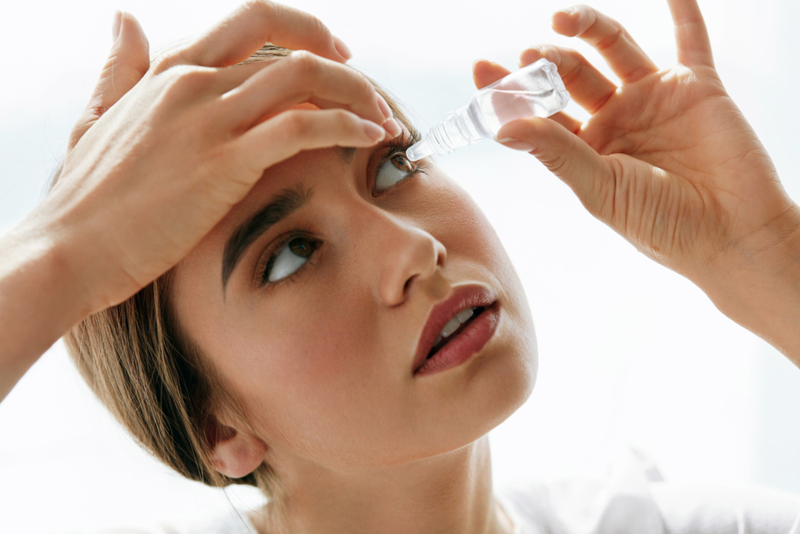 If your eyes are bloodshot after lack of sleep or smoky atmospheres, try some eye drops. The festive season can also take its toll on your teeth. Too much mulled wine and sugary snacks can dull a bright, white smile. So, here’s another of our Christmas beauty tips – make sure you floss and brush regularly with a whitening toothpaste. If your smile is looking really discoloured, ask your dentist about professional teeth whitening options. Or for a fast DIY fix consider trying some teeth whitening strips. Don’t be afraid to experiment with a bold make-up look during the party season. One of our favourite Christmas beauty tips is to practice something new before the big event. Perhaps you’ve always wondered what you’d look like with a cat flick, a smoky eye, or Kardashian-style contouring? Christmas is the ideal time to dial it all up. The party season was made for new make-up shades, new textures or a bright, statement lip. Just don’t debut everything at once. Select one element – for example, glitter eyeliner, rich, dark lipstick or false lashes – and make that the focus of your face. At party time, most of us leave the warm coats and woolly tights at home. If you are flashing some flesh in your little black dress, make sure you’ve done your prep. Didn’t you know a long soak in a warm bath is a great way to get the party started and is one of our fail-safe Christmas beauty tips. Overdone the mince pies? A bath can even help you (temporarily) beat the bloat if you switch your usual bubbles for some Epsom salt. If your limbs are on display, you’ll need to exfoliate, depilate and moisturise, as required. Shaving is a fast and easy way to get rid of unwanted hair. But a well-timed wax will save you time in the long run, as you’ll stay smoother for longer. If you’re feeling a little pasty, create a faux glow with some subtle self tan or wash-off body bronzer. Painted nails and toes really pull a party look together. But regular manicures and pedicures are difficult to fit in during the busy festive season. If you don’t have the time (or skills!) to DIY, you’ll love our Christmas beauty tips; Book a gel mani and pedi in early December. Done correctly in a reputable salon, they should see you through to New Year’s Eve. Why not choose a darker, dramatic shade than usual, such as plum, navy or deep red? Glitter is another popular choice at this time of year. Classic gold or silver is always a striking look. Or ask your nail technician for a layer of coloured glitter to complement your base shade. Don’t forget to get rid of any hard skin on your heels before slipping on your party stilettos! In addition, one of our last Christmas beauty tips is to look after your locks. Hair can easily become brittle and prone to breakage if it’s over-styled. Use a gentle shampoo and don’t wash it more often than you need to. Dry shampoo can be a real saviour at this time of year. However, if you’re using more product than usual to create your signature party style, consider a clarifying shampoo. This will get rid of dirt and product residue, leaving hair shiny and clean. Replenish any lost moisture with a weekly deep-conditioning treatment. And always use some sort of heat protectant when styling, to prevent damage to your tresses. Feeling stressed this Christmas? Follow our expert guide on how to avoid it so you can truly enjoy the festive season. Simply click here.